Eachine is determined to conquer the Tiny Whoop market with their QX series… while already smashing the Acro with the QX80 & QX90, the new QX95 brings a much needed fpv racer style micro to the market. 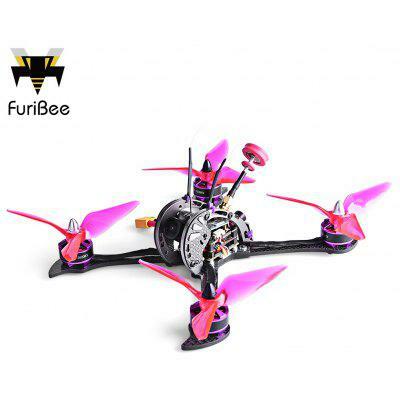 A carbon fiber H style frame with straight front arms and swept back arms with an F3 evo flight controller and a 600mAh battery (now we are getting to size with high dis-charge and even graphene). Available with Frsky, Flysky or DSM2. After spending some quality time with the qx95 it has quickly become one of my favorites. While eachine literally made one of everything with their 20+ new micro kits, the 95 clearly shines above the rest as a well thought out kit. Right from the unboxing you’ll see the difference, the 95 arrives in a real box complete assembled and ready to bind. An actual instruction manual that helps is present too with somewhat easy to follow binding procedures for all 3 of the usual transmitter setups. You, get a cooler usb charger, 2 spare motors, a battery, some VECRO (every other just include rubber bands), and some props to get things started. The QX95 is pre-flashed with clean-flight and beyond just setting the ARM function you can be in the air in no time. PIDs, Rates, everything your heart desires can be tuned to your liking and transmitter setup. I used the Spektrum DM9 module in a TBS Tango and right out of the box, no tuning, no nothing… this thing flies like a rail, so much more steady than I expected. Also pre-set is an option for angle mode and the camera is easily adjusted to tilt just right for that straight tunnel vision hole shot at max speed. I have heard about these AiO cameras having issues with bad pictures but mine performs flawless. Picture is clear and as colorful as can be expected from a micro cam . 25mW is enough (and the legal limit in the USA) to fully reach as far as your transmitters micro receiver will safely go provided you have a decent antenna on the video receiving end (this is a must have). I have hammered this little guy so far, I hit a car dead nutts (it was my own), dropped out of the sky from 100+, I even take off and land in dirt. While not recommended practice for your new QX, its fun… and it’s still going. The only repair that I have needed to make was a busted motor from falling directly on the asphalt, and that was an easy swap. As far as upgrades or mods… maybe try some other props(ladybug), better battery on a quality charger is all I want right now. So far cleanflight has been a breeze, mild adjustments are all I have done but BetaFlight has more for the F3 brushed fc’s so they is a definite “must try next”. Would I buy another qx95? Yes, I have already ordered the Frsky version and highly recommend the qx95 over the qx80, qx90, qx100. It’s not a tinywhoop, this is a different style of flying, more like your larger 150-200mm fpv racers so you can’t be running into people, but for a very small outdoor (like backyard) race track, the qx95 is awesome and well worth the money. Turn on the transmitter and select Mode D8 for the receiver. Press and hold the F/S button on the QX95 while connecting the battery, release when you see the solid GREEN light. Back to the transmitter, and go to >Receiver and click [Bind], wait for a beep from the transmitter and the QX95 will blink once. Un-plug the battery then reconnect it, proceed to the ARM/DisARM set-up. From the transmitter, and go to >MIXER and set the switch to SA or SB for channel 5 to ARM/DisARM the motors. By default the QX95 is is set to AUX1 (ch5) to ARM/DisARM the motors, The default receiver Channel Map for frsky is TAER1234. Toggle the switch and the BLUE led will light up solid, this indicates the motors are ARMED and the QX95 is ready for take-off. Locate the receiver and peel back the plastic cover just enough to reach the pads. You’ll need to set a jumper between the ground and the bind tabs (use a metal tweezer). Plug in the battery while grounding the bind pin and the blue light on the receiver will blink rapidly. Power on your transmitter in “Bind Mode” and wait for the blue light on the QX to go solid. The QX95 is now bound to your FlySky transmitter/module. By default the QX95 is is set to AUX1 (ch5) to ARM/DisARM the motors, The default receiver Channel Map for flysky is AETR1234. DSM has an auto-bind feature, when the battery is connected it will immediately search for and bind to any DSM2 signal. Just put your transmitter/module into bind mode and power on the QX95, wait a few seconds for the light to go solid and your are bound. Replacement part are finally being released for the qx95, the carbon fiber frame being the main piece here that makes this kit. Camera: Eachine AiO 1/4 25mW | Eachine AiO No Ant. Ready to upgrade your QX95, the antenna is a great place to start followed by the battery. There is always the option to buy the already upgraded version the QX95S. 8520 black edition motors, AIO F3 Pro flight controller with betaflight 3.2.0, buzzer and a better antenna right out of the box at 60$. I wish to buy the qx95 but is it possible to bind this little quad with the spektrum DX6 ?? In the same boat as redeyes. Been trying for an hour to bind the QX95 with my DX6i but no joy yet. Hopefully Google can help. I found a trick online where you set the throttle trim all the way down. This kinda worked in that the props spun up, but reliable flight is still WAY off. Trim trick only works sporadically. Any luck redeyes? I got mine to fly more stable using the walkera props… a flysky receiver with a Tango on CF settings. I kinda like my motors to spin high when armed but that is just a preference. A bit un-stable in slow flight, but on a rail when going fast. You may also try the 2s option with the jumpers. I guess you’ve worked this out but spektrum removed DSM2 as a supported protocol on the DX6i in Europe. Sounds like you’ve got a newer TX that only supports dsmx. I’m in the same boat. We’ve got an old DX5e that does work fine with the QX95 but I miss my switches and programming options. I have the DSM2 version and binding is fine with Turnigy 9X with Orange DSM2/DSMX transmitter module. It took me while to figure out that after the binding the correct procedure is to turn power on on the transmitter first and then on the quad. Any Ideas about what could I have missed? @kossu – Hello. I had the same issue about not being able to ARM the quad with DSM2 transmitter. I found posts elsewhere stating the endpoints needed to be adjusted on the transmitter so they were closer reporting 1000 as minimum and 2000 as a maximum (you can monitoring this via the Cleanflight -> Radio section). We hit this problem at the weekend. Our old DX5e was throwing out some funny ranges and I accidentally pulled the low throttle down below 1000 which the DSM2 QX95 did not like. We were able to correct by setting rxrange in the CLI for each of the four stick channels. The rxrange expects a zero indexed channel number, so roll is 0, pitch is 1, yaw is 2 and throttle is 3. By setting each in turn and checking the receiver tab we were able to get good range on all sticks. After that the arm switch was much more cooperative. What is the recommended parameter in CF for roll, nick aileron etc? Could anyone post the factory dump for the qx95 frsky, please? I got my QX95 with a built in Flysky Receiver. To bind FS-i6 to receiver you need to DISABLE AFHDS 2A . With afhds 2a off failsafe is not posible. I have a similar problem to other folks here in that I cannot get my QX95 DSM quad to bind to my Spectrum DX6i. With what I am reading here, its seems as though there may be different FC boards for DSM. I have two LEDs, a red and a blue and they are right next to each other. My box came with a black and white print out with specific binding procedures that were different than the booklet. In following everything to the letter, the red binding light does not blink (it is supposed to blink when ready to receive binding from the TX). I have tried different firmware versions both in Cleanflight and in Betaflight, but that red LED never blinks to accept the bind. Anyone have this issue and solve it? Has anyone tried to use batteries from other sellers / manufacturers? Banggood don´t deliver batteries to Sweden. So it would be a short carrer in FPV base on the flight time and life span on one battery only.